We’ve talked about ‘smart’ homes—that is, homes with household appliances that connect to the internet and operate in tandem to enhance their owners’ everyday lives—exploring how to start your own smart home and how to protect your smart home from hackers. But now it’s time to think big: What about a ‘smart’ city? The idea of a smart city has futurists, city planners, and technologists extremely excited and, at times, hesitant. Roughly defined, a smart city is the concept of a city adapting its chief assets—including power plants, water supply networks, waste management, and traffic lights—to improve the quality of that city’s residents. 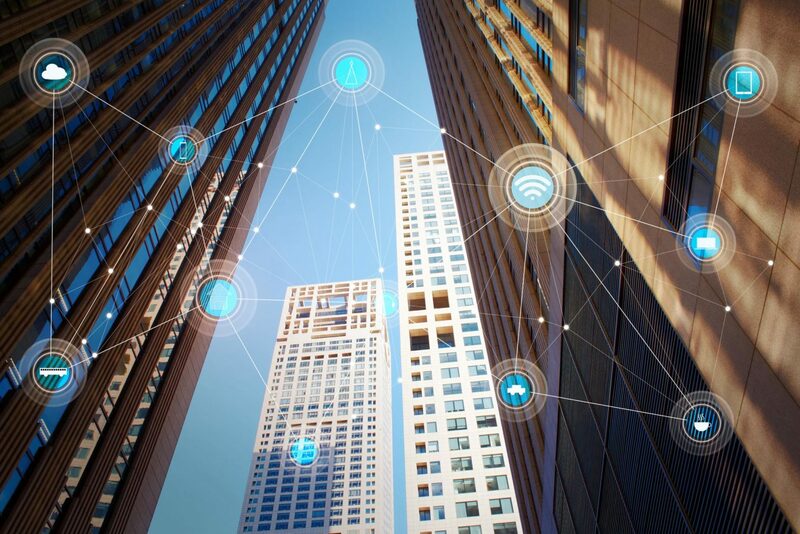 Combining various information and communications technologies (ICT) with Internet of Things (IoT) solutions to manage all the things that make a city a city, a greater efficiency is achieved. With this greater efficiency comes a greater overall quality of life, in the form of reduced pollution, better safety, fewer traffic snarls, more effective emergency services, and cleaner water. Of course, there aren’t very many cities willing (or able) to open their coffers for a citywide technological revolution. With so many infrastructure’s needs demanding immediate attention, making a big investment in a future that sounds like something out of “The Jetsons” is a tough sell. First and foremost among these concern is that of individual privacy. In order for a smart city to be truly smart, some infrastructures would need to rely on a degree of monitoring that may feel like surveillance, whether it be security cameras at stoplights or facial recognition systems over every government building’s doorway. With that in mind, it’s not too great a leap to imagine individual privacy taking a hit. Another concern is food production. Some experts argue that the notion of a smart city is incomplete without a formal effort toward smart agriculture. After all, how smart can a city really be when it has to constantly import its food? Yes, many city dwellers cultivate their own produce, through efforts like urban gardens and rooftop farms, but experts are currently pushing for a government-financed urban farming initiative as part of any smart city initiative. Despite these possible setbacks, it’s a pretty safe bet that, as the technology of the future becomes more visible and as young people flock to metropolises that can meet their technological needs, smart city planners are likely to weave smart city measures into their budgets. The future starts now.